Is Your Nonprofit Ready For Donation Season? Your nonprofit could be raising up to 40 percent of its total annual revenue during just the last six weeks of the year, if you use a variety of fundraising channels, according to some of the leading nonprofit fundraising authorities. What’s even crazier is that the statistics show nearly one-third of annual donations take place on the 31st of December! So, what does this all mean for your 501(c)(3) nonprofit? It means you need to develop a well thought-out, strategic Yearend Campaign. An organized, multi-faceted fundraising campaign that capitalizes on the substantial end of year giving season and which is part of an organization’s comprehensive annual donor-cultivation practices. A Yearend Campaign, just like any successful fundraising campaign, must include a detailed plan, and that plan cannot be created in seclusion. It should, alternatively, be coordinated across groups and departments within your organization, including other development campaigns and marketing techniques. An end of year campaign should not be seen as a single fundraising event, but instead, as a part of your larger effort to attract, cultivate and retain your donor base. A successful Yearend Campaign must have multiple touch points across an organized period of time, meaning that you reach the same donor on many occasions and in many ways, in order to generate interest and fully engage your supporters. This can be done by coordinating the Yearend Campaign into your nonprofit’s overall marketing plan, including social media, email, direct mail, and event-based fundraising. Research of trends in giving has proven that for many individuals, the end of the calendar year is one of the most likely times for them to donate to and support the charitable causes they are closest to, as they close out their donations for that tax year. At the same time, the various winter religious holidays often trigger thoughts of giving and altruism in general. Whatever the reason, the end of the year is the most advantageous time to reach out to your community and encourage those charitable donations. 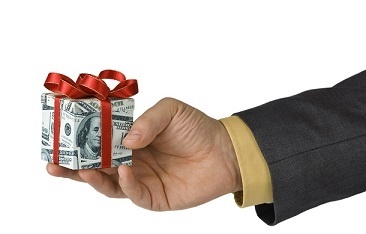 Securing an end of year donation should not be your organization’s ultimate goal. Instead, the first donation that a supporter makes to your nonprofit should instead be viewed as the start of a long and fruitful relationship. Just like customers in for-profit businesses, it is much easier and less costly to encourage an existing supporter to donate a second or third time than it is to secure additional new donors. Therefore, it is essential for not for profit organizations to build a strong follow-up donor loyalty program to continuously reach the individuals who give an end of year donation, and to focus on retaining those donors for years to come. A comprehensive Yearend Campaign should span the months of November and December, and include a variety of methods to reach your constituents. Incorporating a variety of teasers, stories, and appeals, and reaching each potential donor with multiple touch-points, is necessary to ensure that your fundraising season proves to be fruitful. Need Help Developing a Successful Yearend Fundraising Plan? Get Help from the Experts. Developing diverse and creative fundraising resources may not be the easiest thing to do, but it certainly is not the most difficult either, especially when you’re working with CharityNet USA. Our team of experts is skilled and trained in all aspects of nonprofit management, including fundraising. Contact us on +1 (407) 857 9002 today or visit our website. Next Next post: Where can I get more funding for my Nonprofit?